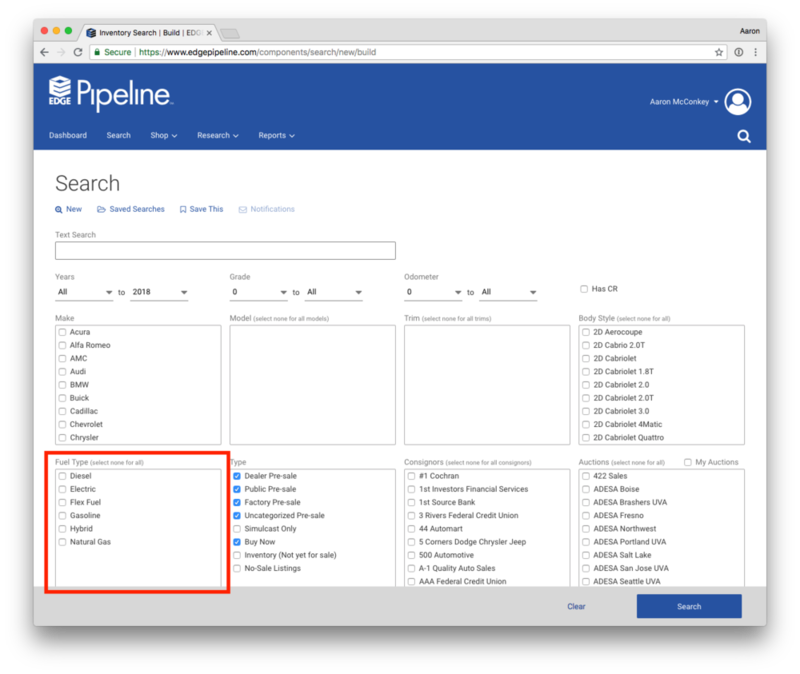 The EDGE Pipeline team is very excited to deliver this highly requested feature! You are now able to filter your search by Fuel Type. Diesel buyers, rejoice! If your auto auction would like to show the Seller name on ALL vehicles, this is now an option. There's no need to do a mapping in EDGE Admin, it will show the seller name (as it is in your auction system) on every vehicle. This setting is controlled by the Auction Edge team at this time, so if you want us to enable it, please create a ticket at support.auctionedge.com. Thank you! This will give you all vehicles within that year range! Of course you can get more specific if you'd like by selecting Makes, Models, etc. If you shop for vintage vehicles, you have have noticed that our Search form only goes back to 1981. This is because our Search depends heavily on meta data we're able to get from VIN decoding and a data normalizer called BlackBook UVC. Using those, we can only reliable go back to 1981.